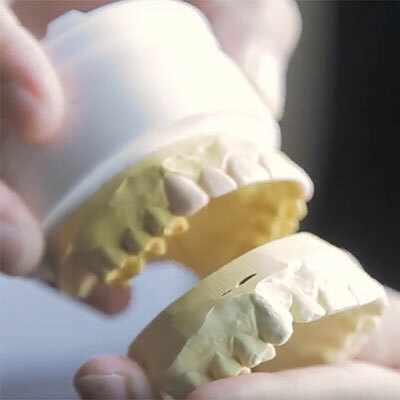 Watch our video about porcelain veneers and discover why you’ll ADORE this life-changing solution – your smile will thank you! Porcelain can cover any smile imperfection. Show off your personality. 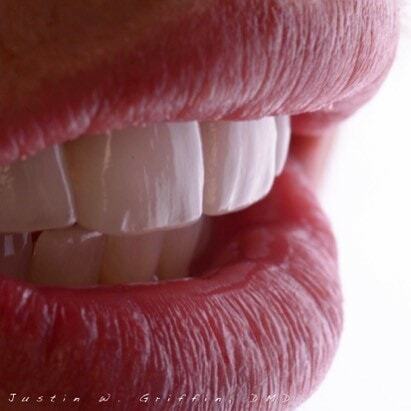 Porcelain veneers are thin, durable shells custom-crafted by Dr. Justin Griffin. Designed with the highest quality of porcelain, our cosmetic dentist in Columbia, SC permanently bonds these thin veneers to the front of your teeth. Porcelain veneers are strong, smooth, and more stain resistant than your natural enamel. We believe no smile is ever the same, making it our goal (our obsession!) to ensure you experience the most incredible dental appointment while adoring your new, beautiful smile with porcelain veneers. 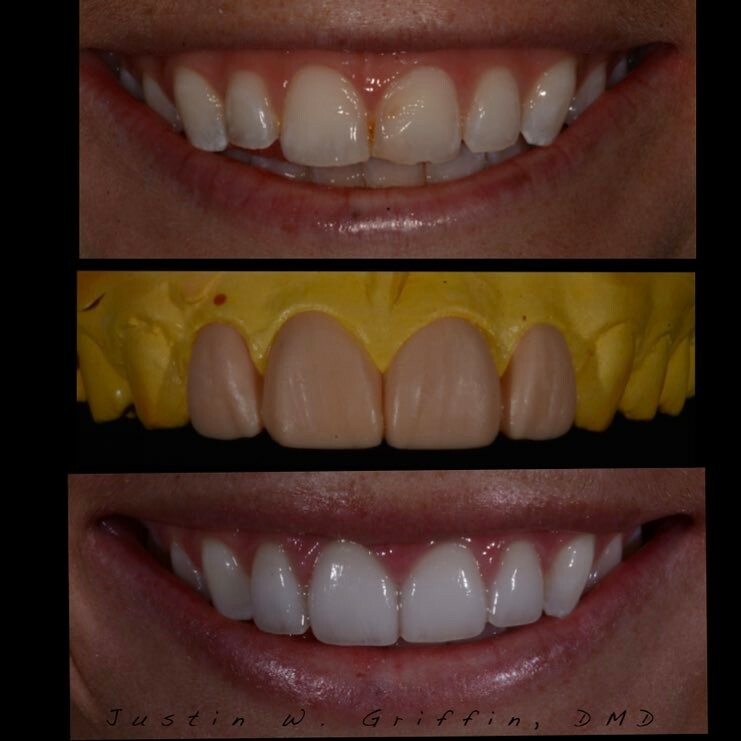 These photos are Dr. Griffin’s actual porcelain veneer patients. Your smile is our passion, and we thrive to provide only the best dentistry to our patients. Along with porcelain veneers, Dr. Griffin also provides other cosmetic dentistry services in Columbia, SC. Some of those services include Invisalign, Same-Day Crowns, and Prepless Veneers. Learn more about our service on our cosmetic dentistry page. Learn what you can expect during your porcelain veneer journey with WildeWood Aesthetic Dentistry. Spoiler alert: You're going to love it! You’ll discuss your smile goals with Dr. Griffin. What kind of look are you hoping for? Why do you want a new smile? Then, we’ll take you to our studio and do a photo shoot (face shots and smile shots) where Dr. Griffin will look more closely at your smile and study the intricate details before touching the porcelain set. 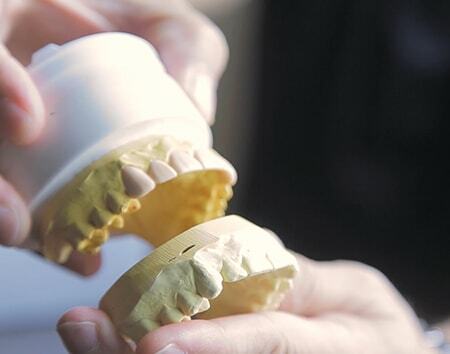 Between appointments, our highly skilled lab will create a wax sculpture of your new smile. You’ll be able to visually see what your new smile will look like before placing the porcelain veneers. We’ll place temporary veneers to give your new smile a test drive, and you’ll walk out with a new smile you get to rate. About three weeks after placing the temporary porcelain veneers in our Columbia office, your permanent porcelain veneers will be finished, carefully designed and crafted by our dental lab. They’ll send us your smile in a box, and we’ll bond the new porcelain veneers to your front teeth. Then, voila! You have a new smile! What's the Difference Between Porcelain Veneers and Prepless Veneers? Prepless veneers are generally completed faster – without the need for drilling or shots. Prepless veneers are the ultimate convenience in minimally invasive cosmetic dentistry. The procedure is very similar to traditional veneers, giving you the same beautiful results. The main difference is there is no reduction or “preparation” made to the enamel of natural teeth to accommodate the placement of the veneers. DURAthin veneers and Lumineers are a great smile solution for those needing to make changes to the shape, color, or size of their teeth. What type of porcelain veneers do you offer? 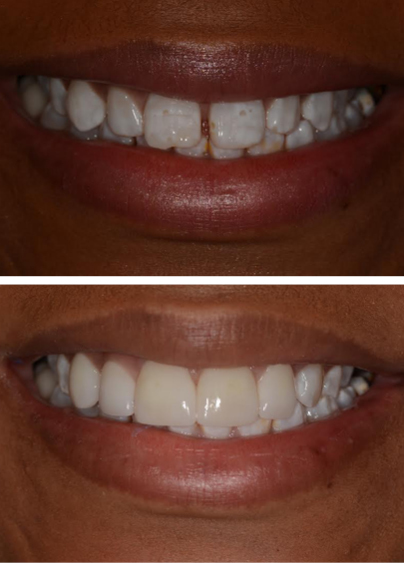 Along with our porcelain veneers, we also place prepless veneers. Prepless veneers are a more conservative approach (made with materials similar to regular porcelain ones) to cosmetic dentistry because less tooth enamel is removed. They are an excellent option for subtle changes with your smile. Talk to Dr. Griffin to determine which type of veneers are right for you. Depending on how well you take care of your smile (regular brushing and flossing with 6-month check-ups), porcelain veneers have a life expectancy of 7-20 years. Porcelain veneers are durable and reliable similar to the strength of natural teeth. 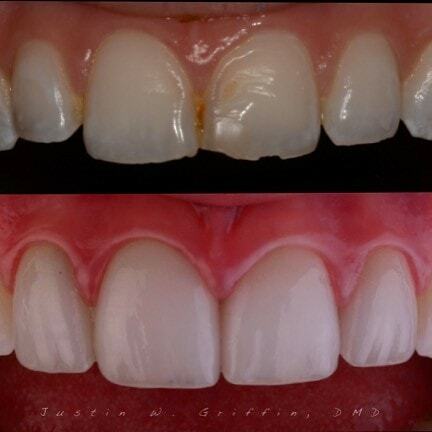 If your veneers are in need of a repair, do not hesitate to contact Dr. Griffin to get them fixed! Your smile is on the line. It all depends on your coverage. Usually, dental insurance does not cover cosmetic dentistry procedures; however, we do offer third-party financing for those who qualify. CareCredit is an excellent source to help finance your porcelain veneers without the burden of upfront costs. Talk to our team today to see how we can work within your budget! Will porcelain veneers make my teeth more prone to cavities? Nope! Veneers are more impervious to decay. This means more resistant, yet not indestructible (#StillDontChewOnIce #PleaseTakeCareOfYourSmile)! However, it is crucial you maintain normal hygiene practices (brushing and flossing) to ensure your porcelain veneers and natural teeth stay healthy and last for a long time. Will porcelain veneers stain similar to natural teeth? While natural teeth are more prone to staining from beverages, such as tea, coffee, and red wine, porcelain veneers should never stain because of their durable material! However, we do suggest to avoid or minimize the use of staining beverages and foods to ensure your smile looks natural and consistent. Again, we emphasize that regular hygiene practices and maintenance are crucial to ensure your porcelain veneers and your natural teeth last and remain the same color. 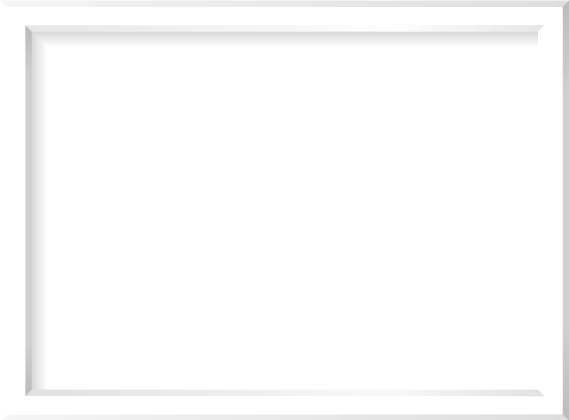 What should I consider when choosing a dentist to place porcelain veneers? The key to choosing the right cosmetic dentist is their credentials and experience. Look for membership in the American Academy of Cosmetic Dentistry (AACD) and ask to see porcelain veneer “before-and-after” pictures during your initial consultation. 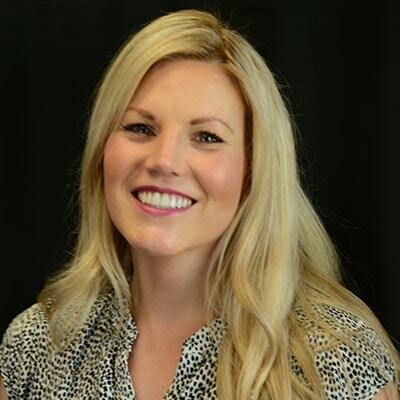 Dr. Griffin is a sustaining member of the American Academy of Cosmetic Dentistry (AACD) and even has advanced training in other advanced dental procedures, such as dental implants. He’s been creating beautiful smiles and changing lives for Columbia for over 15 years. The secret to his success is ensuring he creates a pleasant and fun dental experience for every patient while they’re receiving life-changing dentistry. 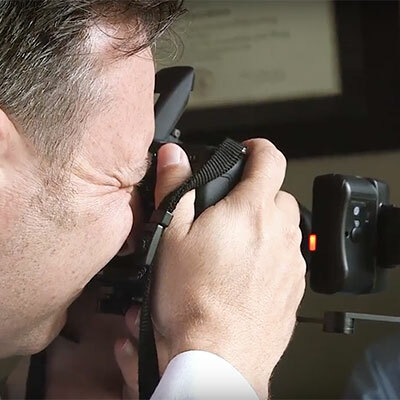 Dr. Griffin’s reputation proceeds throughout the community where people out of town and out of the state travel to his office to experience this caliber of care. 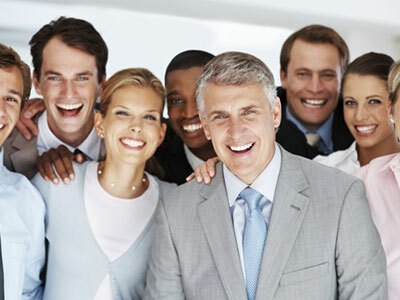 We invite you to check out our Smile Gallery to see the smiles we’ve changed. Imagine the possibilities for your smile! Not quite ready to upgrade your smile? Dig deeper into the topic of porcelain veneers in our dental blog. Ready To Get Your Porcelain Veneers? We are! Contact WildeWood Aesthetic Dentistry and let's chat about your vision of a smile upgrade with porcelain veneers!